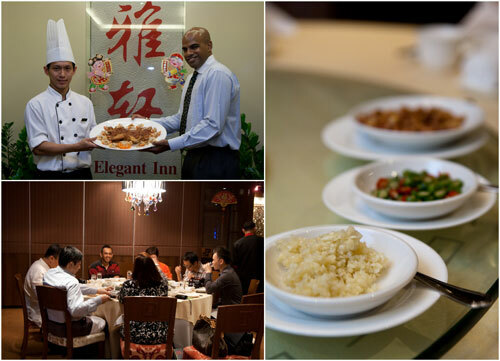 My unwritten policy on food review is that I usually don’t review the same place twice, but when Elegant Inn came calling, there was no doubt that an exception had to be made. The experience I had at Elegant Inn on the last review was so good I couldn’t possibly pass up another chance. Thank you Meena! 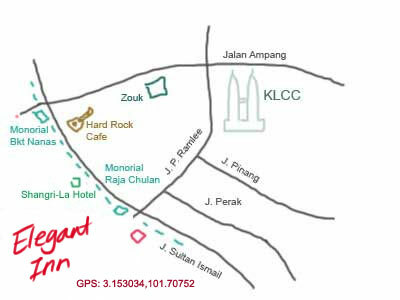 As with the previous two posts, this review is about the Extravagant 8 menu with Standard Chartered. Basically credit card member from the bank can enjoy this 8 course dinner for 8 person at the price of RM 888++ during the duration of the promotion that runs from 20th Jan till 17th Feb, 2011. 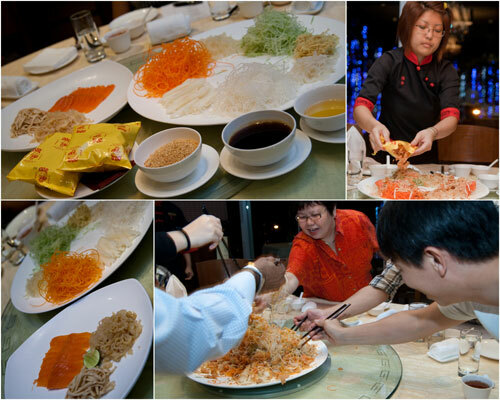 We started off with yee sang. While Gu Yue Tien‘s version with its strawberry sauce is pretty new age and Li Yen’s prototypically traditional, Elegant Inn’s yee sang’s philosophy is something in the middle. Every ingredient is freshly prepared on the same day, there’s crushed nuts, plum sauce, oil, and also fresh raw salmon and jelly fish too. The taste is a little more subtle, but you can feel the freshness. I like it. 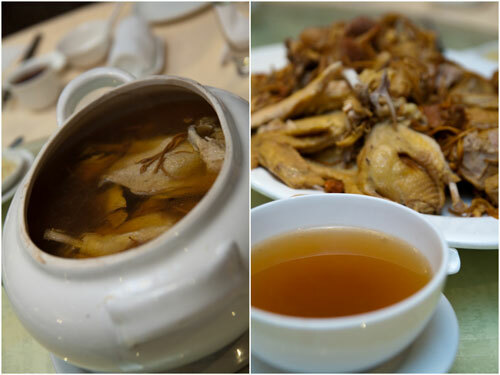 Then came the double boiled village chicken soup, A whole kampung chicken double boiled with cordyceps flower, US top shell, dried scallops, oysters, cutter fish, and a few other ingredients. The owner Jeanette leave no secrets as to what goes into the soup for the effort of making one yourself would worth way more trouble (and cost in ingredients flown from HK & other places) than simply going to Elegant Inn and order a bowl (even if it costs RM 128 on the menu). The soup of course, was superb. The server separates the ingredients and then presents us the soup as is. I of course, still picks up the chicken, scallops and such and send them to my mouth while enjoying the liquid. No wastage ok.
Next up was a big slice of “long dan”, or estuary grouper (giant grouper). The difference between deep fried and “golden fried” is that the fish is prepared by pouring hot oil over and over again until cooked. This method ensures that minimal amount of oil absorbed by the fish, thus the natural flavor is sealed in. A deceptively simple looking dish that is really yummy. I’m still dreaming of the grouper’s skin. Then it was the crystal prawns with signature salted egg yolk style. “Signature egg yolk” style because the chef painstakingly prepare and melt the egg yolks into the prawns instead of leaving them on the shells. This way you don’t have to lick the prawn’s shell for egg yolk and then eat the prawn meat pretty much separately afterwards. The extra effort obviously paid off, it was delicious. Then there’s this golden boneless stuffed chicken, a dish that is so unique I couldn’t have imagined it in a thousand years. The chicken is basically stripped completely, leaving only the skin. A layer of prawn is then “stuffed” under the skin, and everything is roasted till it looks almost like the skin of suckling pig. The end result? It tasted as good as it is fancy. 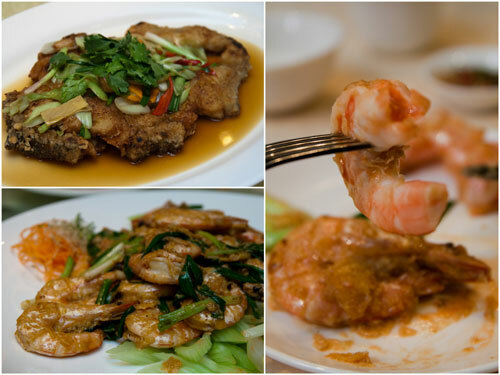 Crispy chicken skin with succulent prawns makes a very good combination, who would have thought? The left over chicken meat is served on top of little slices of tomato at the side. 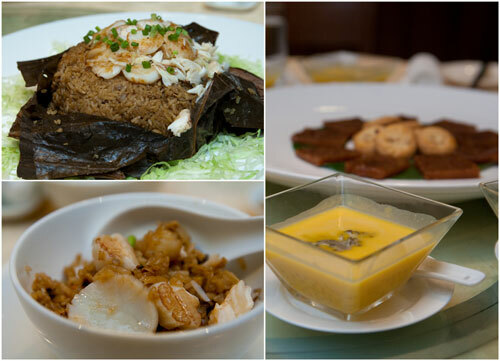 We had braised sea cucumber with dried oyster next, a classic Chinese dish for CNY. The dried oyster’s imported from Hong Kong, fat and juicy. I’ve always enjoyed sea cucumber, and this one did not disappoint at all. Instead of fried rice, we had braised seafood rice instead. The rice is wrapped with lotus leaf and cooked with Australian scallop, fresh crab meat, and abalone sauce. At Elegant Inn, abalone sauce really does mean that they made the sauce with real abalone. I’m usually not a big fan with the rice at the end of an 8 course meal, but I couldn’t help it, I finished my portion this time despite being pretty much full to the brim already. We wind things down with some desserts – pan fried traditional rice cake & hazelnut cookie and chilled Japanese pumpkin sago with green bean. The two desserts, just like everything we had at Elegant Inn, were pretty good too, but by then I was pretty much deep in food coma already. The stuff looks good. I can definately get down with chicken stuffed with prawns. That sounds delicious! 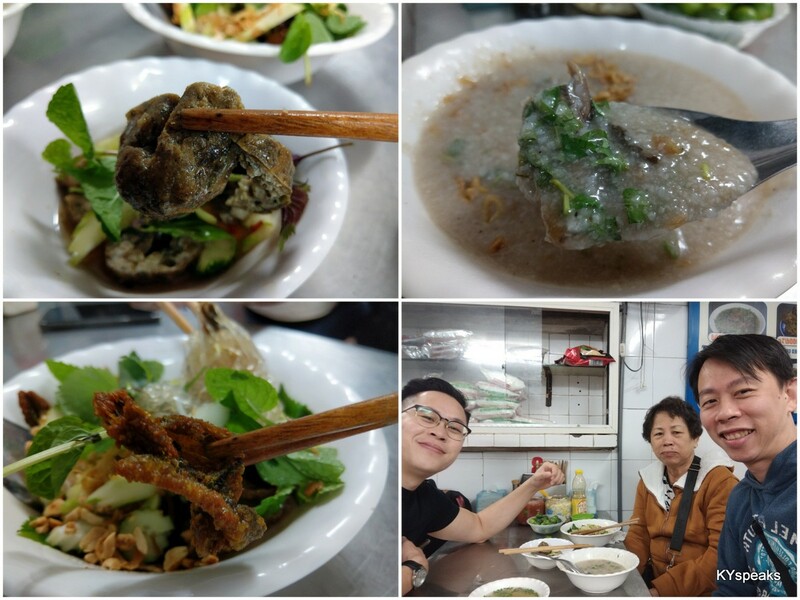 Huai Bin: yeah, chef with imagination! i been here few times and once for their dim sum… good! connie: yah, their food is superb! The prawn stuffed with egg yolk is really creative! And I’m sure tiresome to prepare too!! So is the chicken with stuffed prawns inside…ah I can just imagine the uniqueness in terms of taste and presentation of these dishes! Well done to the chef! iamthewitch: yeaa, everything was good! Somehow the dishes is not as appealing as the other 2 places that you’ve review before. However, must be good if you’re going back for a 2nd review. JD: perhaps I was too busy eating instead of taking nicer photos. hahaha, the food at Elegant Inn is definitely a notch higher than most other places I tried. wah so extravagant! i was just there on tues to eat their lap mei fan. very nice! Goshhh I so missed the fish and soup! ooh time to put that Standard Chartered card the bank gave me when I applied for houseloan to good use! Paul Tan: yesss, that would be a wise choice! omg this post just made me sooo hungry! it looks amazing, i was always scared to try these kind of ‘things’ but the more i look at them the more a i want to try themn lol ok but pizza for now and something more for diner yummy! 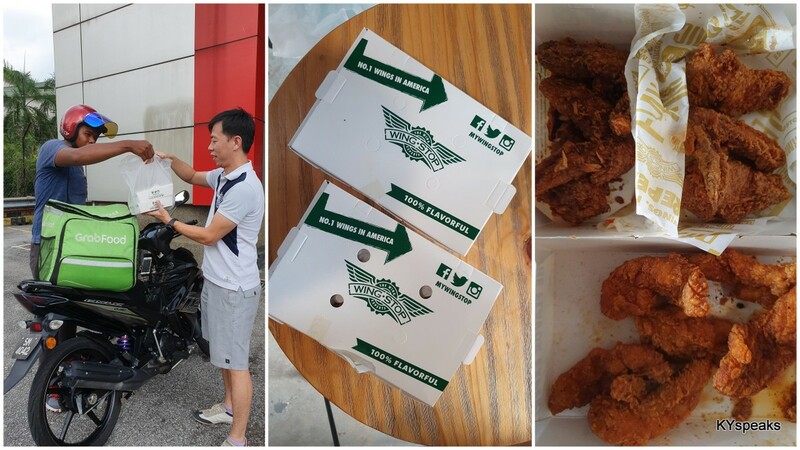 You go testing food before CNY ar? so good can test so many nice food. They invite you to try one ar? 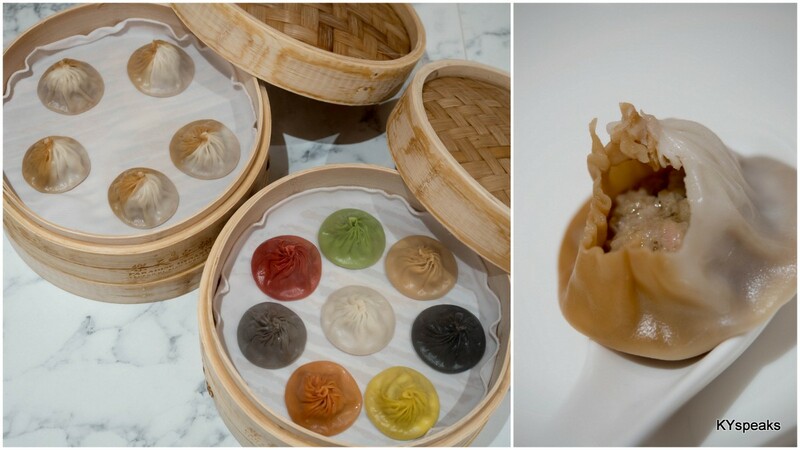 You should go to Elegant for dim sum! It’s really good, and the xiao long bao is really good too. And smoked duck. My family and I go there almost every Sunday, and I’ve already been there 3 times since the starting of CNY. Gosh, I sound like a promoter.. but seriously. Go try the dim sum! Even if it is a little bit pricey..